As we all know as Americans that when it comes to raising money for running for President of The United States candidates ask THE PEOPLE to send them a dollar or two to help with their grassroots campaign. And each American voter from each of the Incorporated Political Parties, there are two AND ONLY TWO because we are a democracy, use those dollars to promote their candidate. 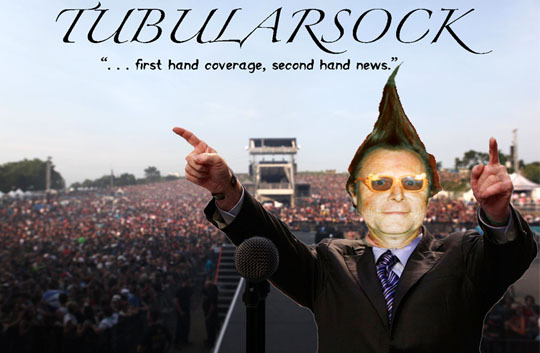 The first thing Tubularsock is changing is the two party system! No, don’t get Tubularsock wrong there will still be only two parties, AND ONLY TWO because we are a democracy, but the current Democrats and Republican Parties will become one party called RepubliCRats because they represent only the corporate state anyway. And then there’ll but Tubularsock’s party called DemocraTube which will represent the PEOPLE. Oh sure, everything else will be in place. You know, like ONLY the DemocraTube Party and the RepublicRats Party can debate each other on national TV because we are a democracy. And any voices that are divergent from the standard tried and true rhetoric will be dismissed as quacks and conspiracy theorists because WE ARE a democracy and a democracy ONLY EVER has two political parties! Of course secret PACs are ok because that is where the PEOPLE secretly put money into campaigns and secret campaign money from the PEOPLE is another form of transparency because WE ARE A DEMOCRACY! Are you sure we are a “Democracy”? Well Leslie, great question but if one defines a democracy as a closed two party system, well yes! That’s not how I would define a democracy. Amerika are a “true” democrazy. Really and you can get validation for the premise from teddy the canadian or randy the paul or skillery ‘her royal’ clintoness or blind melon blinky who just so happens to be the next black man scheduled for execution by Baltimore PD. Yep, proof is in the pudding when you view those you have listed. A “TRUE” dem-o-CRAZY ! No question! Thank for your comment. Now, you didn’t laugh yourself to sleep again did you? Tube–all we need is Cary Grant and Eve Marie Saint running on your head. Let’s see how many of your readers know this one. 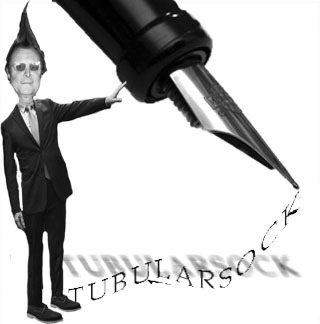 Tubularsock readers cover a great deal of ground. Tubularsock does kind of looks like Cary Grant but Tubularsock is more in tune with the FURIOUS 7. You know, good old revenge! I had a dream about Alfred Hitchcock last night. 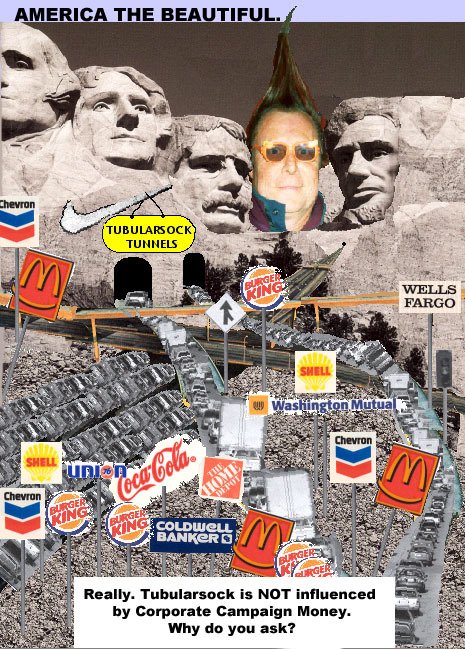 In the dream he was headed north by northwest and saw a sign that read, Tubularsock in 2016. And then, suddenly, he ran south by southwest screaming, “THE HORROR!” This is all I can remember of my dream. In my dream, Alfred must have been a Hillary supporter, I guess? Wow sojourner, when it comes to Alfred Hitchcock ……. did you have a dream about Alfred Hitchcock or were YOU in Alfred Hitchcock’s dream? Tubularsock remembers now. So it was Hitchcock that Tubularsock was trying to hit with that plane. That boy runs fast! Or dangling from a nostril? I like that film! Didn’t realize it could be viewed as satire for an embarrassingly long time. I knew there were a couple of us who knew this film! One of my favorite Cary Grant movies! And sure, why not? Our man Tubularsock would look great there! Or maybe he’d be more at home with the Crazy Horse carving? Your campaign is shaping up nicely. Love the Tubularsock Tunnel. can move vast numbers of people from the nowhere where they are to the nowhere where they’re going in the shortest possible time. It’s good for the economy! Have you thought of approaching the Koch brothers? They’re being a bit cagey about who they intend to support for President, but I think they would really appreciate your attitude about corporations running politics. Now that may be the answer to all of Tubularsock’s Presidential Ideals. A no strings attached KockBro PAC. Tubularsock started to work with the Mexican Coke Brothers but we just got too wasted. Thanks for your input, DrB! I thought he had? Oh no, wait, that was Coke. Never mind! My Capitan, such a spot on statement, and then this image suddenly appears? What the _uck….? Although you make the other frauds, ooops, I mean giants of democracy/capitalism look weak and rather stupid in this image, I think the tunnel is a bit much! Love the corporate connection though! Hey, can you spot me a half-mil until next Tuesday, I’ve been losing at the track? Perhaps the tunnel was a bit over the top. As Tubularsock’s head speech writer I’m sure you’ll be able to sugar coat it. Thanks. “This tunnel, my fellow Mericans, is the tunnel of my love for and devotion to all of you! This tunnel leads right to my big, open and welcoming heart, where you will all find rest for your souls and a chicken in every pot! ‘You’ve got to have heart,’ as the old tune goes! And your next president, me, Tubularsock, has more than enough heart for every Merican and other human being in this world! “YES, WE WILL!” This shall be our new mantra, my fellow Mericans! Well, what do you think? Yes, I know, “anarchy,” right? I can dream, can’t I, my Capitan? Sweet. Nice going sojourner, Tubularsock knew you could cover for him. You have a way with words. Yep, you can fool some of the people ALL THE TME with your speeches. We’ll have to work on that anarchy thing. But much of your general program sounds good to Tubularsock. I’ll send it over to marketing and run it past the focus groups and get back to you. My Capitan, you just blew my mind! I need to stop snortin’ that glue and eatin’ those damn sugar cubes! So it was you in that crop duster, my president elect! You need to an image of you in that plane coming after Cary Grant! I might never stop laughing! It was Tubularsock in that plane coming after Cary. Hell man, he was attempting to foil my plot. Any President would do that! I knew there was more than one reason you are my hero! I just caught “The tunnel of love…” double entendre! Oh well, politics, when you get DOWN TO IT, is all about screwing someone, right?